The area in Miami known as Midtown Miami is located north of downtown Miami and just south of the Miami Design District. Midtown Miami encompasses the Edgewater and Wynwood neighborhoods. The people live in more in the Midtown Miami neighborhood are consistent and enthusiastic customers of Uber and Lyft. When people in Midtown Miami get hurt while using Uber or Lyft, they usually end up calling a Midtown Miami Uber accident lawyer. Car accidents can be difficult to go through. If you are injured in an Uber car accident, it is even more complicated than what might be called a “routine” car accident. The reason for the complication is because of insurance coverages. After a Midtown Miami car accident you could end up dealing with your own insurance company, the potential at-fault driver’s insurance company and Uber’s car insurance company. That is why it is helpful and probably necessary, to consult with a Midtown Miami Uber accident attorney. At the Wolfson Law Firm, our Miami car accident lawyers have a long history of helping injured clients recover after car accidents. In fact, we have been doing it since 1963. Our law firm offers full personal injury legal representation in Miami and all throughout South Florida. Our managing attorney, Jonah Wolfson, is a bilingual Midtown Miami injury attorney. We offer free and no obligation consultations for all prospective clients who were injured in any type of accident. All you need to do to take advantage of this free offer is to call (305) 285-1115 and we can get working on getting you the answers and the justice you deserve. 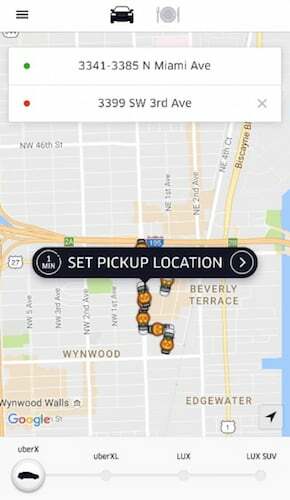 To be perfectly clear, if you are injured or lost a loved one in any type of accident involving Uber in Midtown Miami or anywhere in South Florida you really should at least speak with a Miami Uber accident lawyer. It simply isn’t fair for you and your family to bear the expense of rehabilitation, medical treatment and therapy. In addition, there is no reason that you and your loved ones should suffer lost income and the loss of the ability to earn money in the future. Finally, if there is a responsible party then you are legally entitled to a financial recovery for your pain, humiliation, suffering and embarrassment. You should never be a silent victim because that only empowers the wrongdoer to do it again. The Midtown Miami Uber accident lawyers at the Wolfson Law Firm are available to help you obtain a full, fair and complete resolution following your car accident and injury. But you need to take the first step and call us at (305) 285-1115 and we can help you get the justice you deserve. At the Wolfson Law Firm, we are proud of our long history of helping the people of Midtown Miami and the South Florida communities of Edgewater, Wynwood, Little Haiti, Upper East Side Miami, Beverly Ter., Brownsville, Gladeview, West Little River, El Portal, Biscayne Park, Westview, North Bay Village, Surfside, Bal Harbour, North Miami Beach, Sunny Isles Beach, Golden Beach, and Miami Shores. Call us today for your no obligation and confidential consultation and let us help you. Simply call (305) 285-1115 to speak with a personal injury legal professional in Miami.